After a brief respite following the withdrawal of the Polisario Front armed militia from the Guerguerate buffer zone, tension rose again in the region on Sunday (May 20). This time, the Polisario has chosen the locality of Tifariti, a demilitarized zone located east of the Morocco-built defense wall in the Moroccan Sahara, to organize a military parade in a show of force with the new Russian-made arsenal, offered to the mercenaries by Algeria and most likely by the Iranian regime through the Lebanese armed Shiite movement, Hezbollah. The reaction of Morocco was not long to come. On the eve of the parade, Rabat vigorously condemned, in a statement made public Saturday, the new provocation of the Polisario. “The Kingdom of Morocco considers this provocation a new and serious violation of the ceasefire and a blatant challenge to the authority of the Security Council,” said the statement. Also, Morocco officially seized the President of the Security Council, the Council members, the UN Secretary-General, Antonio Guterres, and MINURSO, asking them to “assume their responsibilities and take the necessary measures against these unacceptable actions” by the separatists. The UN Secretary General hastened Saturday night to launch a new warning to the Polisario against any action likely to constitute a change to the status quo in the area, referring directly to the Polisario’s presence in Tifariti. In this context, the Royal Armed Forces (FAR), which closely follow the situation in the Moroccan Sahara, organized from March 22 to April 7, unprecedented military drills under the name of “Tafilalet 2018”. The joint military maneuvers, involving ground and air forces, simulated an aggression and a response to the aggression beyond the defense wall to repel the enemy and secure the borders of Morocco. This exercise was organized shortly before the fifteenth Moroccan-American military maneuvers, “African Lion 2018” and naval aviation “Lighthning HandShake”, which took place from April 16 to 29 in the region of Agadir, Ifni, Tan-Tan, Tiznit, Ben Guérir and Kenitra, with the participation of 15 countries representing Africa, Europe and North America. 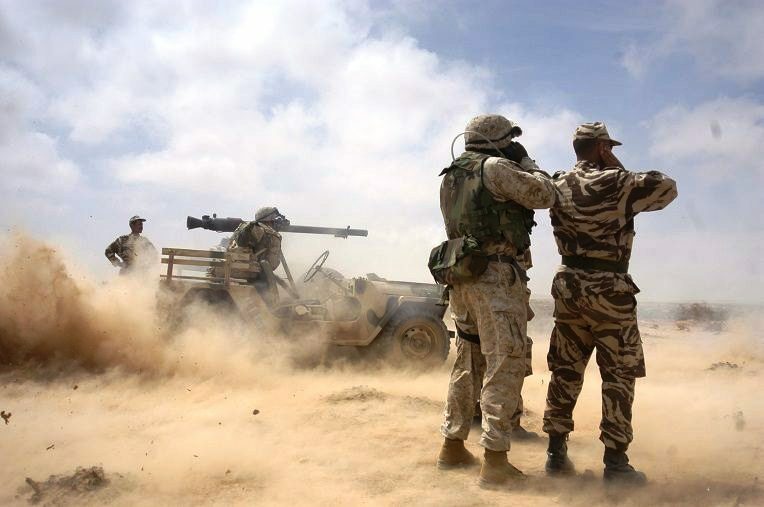 The organization of these two great military maneuvers send a clear message to the Polisario and its Algerian sponsor. A word to the wise, however.